The preliminary cost of damage to the Philippine agriculture sector has risen to 4 billion peso (80 million USD), the country’s Department of Agriculture said on December 28. According to the department, reports from localities showed 65,247 ha of agricultural areas in Calabarzon and Bicol regions were affected with an estimated production loss of 268,355 tonnes, including rice, corn, high-value crops and fishery output. The same day, Agriculture Secretary Emmanuel Pinol said President Rodrigo Duterte has approved an initial allocation of 500 million peso (10.06 million USD) to rehabilitate agriculture and fishery sectors in the affected regions. 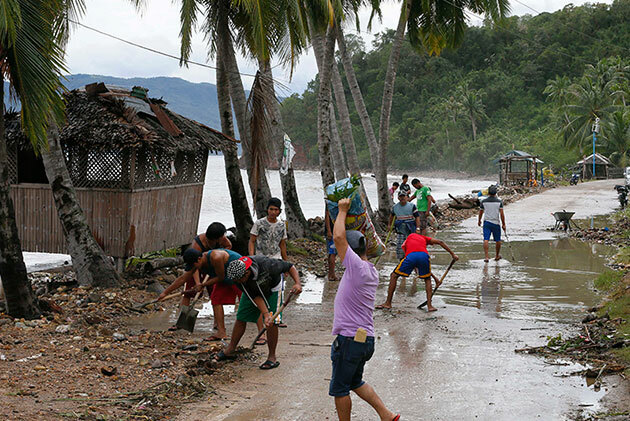 Typhoon Nock-Ten hit the Philippines’ Luzon island on Christmas Day, leaving at least six people dead and 19 missing. The typhoon left the country on late December 27. Philippine islands are often stricken by storms that are formed in the Pacific Ocean. The Southeast Asian country endures about 20 major storms each year, many of them deadly. The most powerful and deadliest was Haiyan, which left 7,350 people dead or missing and destroyed entire towns in the central Philippines in November 2013./.